If Sam Newman's passion for sustainability could be tapped, it might just qualify as an alternative fuel source. 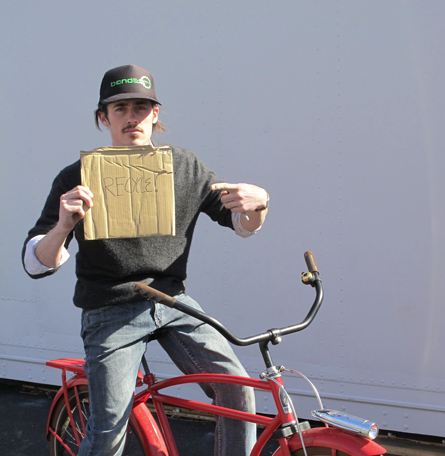 The recent graduate of OSU-Cascades' Sustainability Program is at once energetic and thoughtful, cycling between rapid-fire commentary and deep reflection. When he talks about the importance of preserving the environment for future generations, Newman has trouble sitting still. But he also understands that not everyone shares his zeal. "The biggest thing I learned working with kids is how important it is to be open and understanding," the 25-year-old explained. "Not everyone is like you. Not everyone wants to save the earth." Still, Newman found a receptive audience in members of Cascade Middle School's Green Team during the 2012-2013 school year. The nine-month-long project, aimed at increasing sustainability in the public school system and culminated with a video about the importance of recycling. 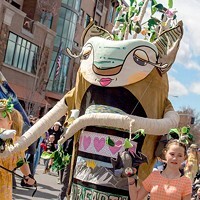 Newman, who wrote the script, starred alongside a cast of eager students as the "Recycling Monster," a rodent of unusual size that feeds off of recyclable materials discarded in trash bins. In the short film—which Newman boasted only cost $15 to produce—students are shown working together and leading by example to encourage their peers to properly dispose of recyclables. It's reminiscent of the '90s environmentalism cartoon "Captain Planet and the Planeteers," though all those involved were likely too young to have ever watched it. For Newman, the film illustrates the most important strategies for working toward sustainability: community and conversation. "I'm passionate about communicating with people of all different backgrounds and trying to bridge the disconnect," he said. "How are we, as a united people, going to change things if we don't know what's wrong?" Those conversations are most effective, Newman said, when they happen on a personal level. While most people are aware of global environmental concerns (who hasn't seen Al Gore's spiel about the polar bears? ), it is easy for these far away issues to become "out of sight, out of mind." "We are the deciders of our future, and it starts locally," he said. "We need to talk to each other about: Where did you get your food? Are you growing any? Do you want to share?" 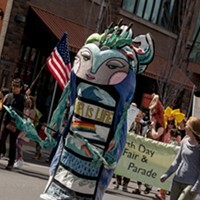 He would also like to see more discussion of sustainability in schools, and not just as part of environmental clubs or Earth Day events, but in the regular classroom curriculum. For example, he suggested, math teachers could incorporate scenarios about energy consumption or waste production into problems. While he doesn't know yet where his career in sustainability will take him, he knows education will play a major role. At OSU-Cascades, he focused on the role of education in sustainability, and hopes to go on to get a master's degree in sustainability in the near future. 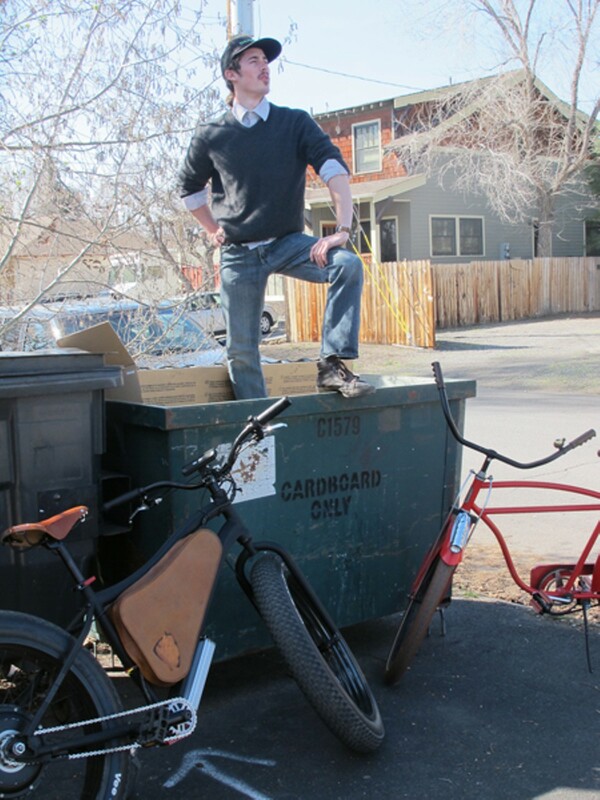 Currently, he helps people reduce their carbon footprint as a salesperson for Bend Electric Bikes. In the meantime, Newman is doing his best to lead by example. He admitted he's not perfect—he still drives his car sometimes and hasn't given up meat from his diet—but he's not beating himself up about it. "I don't think sustainability is ever achievable," he explained. "It's a constant effort, and that's OK."